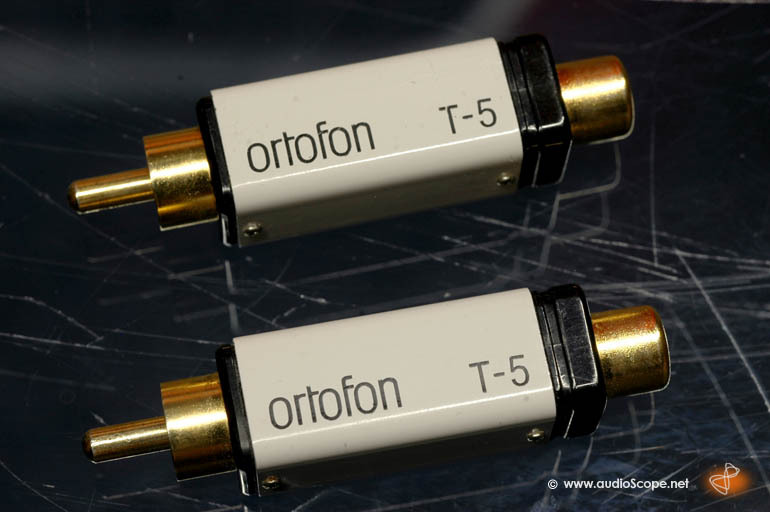 Ortofon T-5 MC-Stepup Transformer for sale. The perfect solution if your amplifier does not have an moving coul input. Simply place these stepups between your record player and the amp. One of the best available stepup solutions.